GSCORE is concerned that the WA state government’s decision to close six Department of Education school camps will negatively impact on outdoor learning opportunities for WA kids. Although these school camps are not in the Great Southern region, the closure of the camps has wide ranging implications for the outdoor education sector in our region. 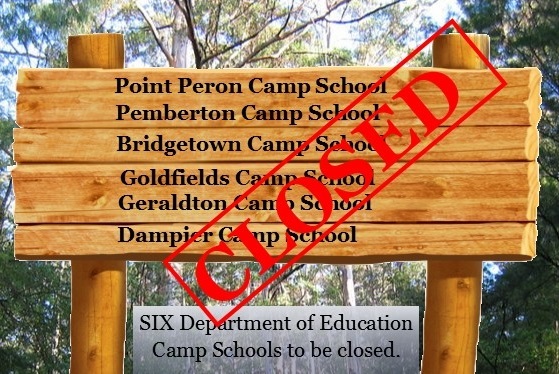 In her media release announcing the closures, Minister for Education and Training Sue Ellery claimed that “these [the six school camps] are not the core business of education”. Her statement flies in the face of decades of research which shows that outdoor education plays a crucial role in mental and physical well-being AND academic performance. Reconnecting young people with the natural environment also helps them to develop self-esteem and resilience, and cooperation and leadership skills. In our view, outdoor education IS “the core business of education”. We need to get more kids outdoors more often, and the school curriculum needs to be fully integrated with outdoor activities.